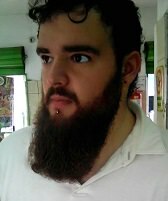 George has practiced in Brazil and New York. He's not bad at table tennis and is among the top players in the capital region of New York. 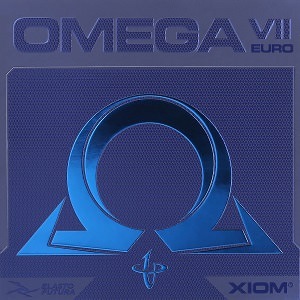 Xiom is my favorite brand when it comes to rubbers so I was glad to have the opportunity to try Omega VII Pro and Omega VII Euro. 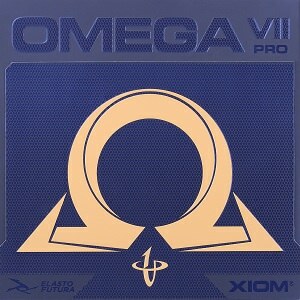 Is their newest release of the two new Omega VII rubbers on par with the quality of their previous releases? Let's have a look. Omega VII Euro features a somewhat medium topsheet hardness with a somewhat medium hard sponge. It is very fast. The speed and sound on hard loops encourages a very aggressive play style. The throw angle of this rubber is quite high. With good timing, aggression, and technique, you can hit great counter attacks. Serving with this rubber can yield very high spin but keeping a serve short is very difficult. The short game is difficult. Flicks are strong but require good touch. This is not a pushing rubber and pushes often go longer than expected. The same applies to chopping. Blocking is pretty good as long as you have a fairly closed angle. The rubber is excellent at loopdriving once you have adjusted properly. This rubber excells at looping of all kinds, especially counterloops. 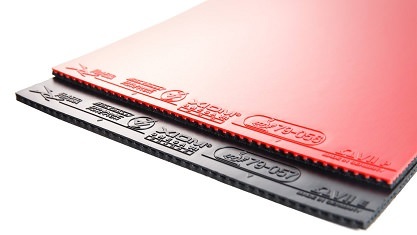 Omega VII Pro features a somewhat medium topsheet hardness with a hard sponge. This rubber is the fastest rubber I have personally tried. It's very powerful. The throw angle is medium high and offers slightly more control than Euro. Like Euro it requires the same gameplan of aggression and counterattacks. Serving yields high spin but also requires touch to keep it short. The short game offers a little more control and pushes better than Euro but it is still difficult to do so and is not meant to be used for pushes. The same applies for chopping. I find hard sponged rubbers difficult to block with so, considering the hard sponge of this rubber, this was no exception. Driving is, overall, really great with Omega VII Pro and even a little better than Euro. It requires proper adjustment and familiarity though. The greatest strength of this rubber by far is looping. It's even a bit better than Euro. Proper commitment to your loop is required but once that has been performed loops of all kinds are extremely powerful. Both Omega VII Pro and Euro are truly phenomenal offensive rubbers. They need to be treated as such. It's important not to try to play a defensive or passive game as the sole intention of these rubbers are to create powerful topspins in almost all situations.